Sure, we all know the great pyramids in Egypt, the coliseum in Rome, or the Niagara Falls in North America. But there are plenty of other historically, culturally and ecologically important places on the planet that may not have the glory, but are truly impressive on their own. Click through to check out some of the world’s most incredible less known world landmarks. The largest and one of the most impressive protected marine areas in the world, the Phoenix Islands Protected Area is located around the remote Southern Pacific island nation of Kiribati. 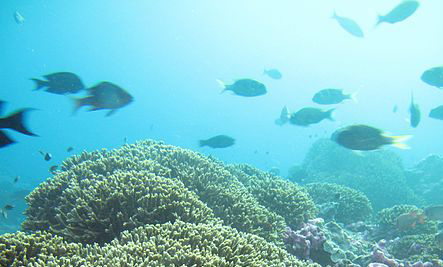 The area is home to large coral reef system, many atolls, underwater volcanoes. Marine life is abundant, and the area is a haven for seabirds. One of the islands in the chain is also, possibly, where Amelia Earhart crashed her plane in 1937. 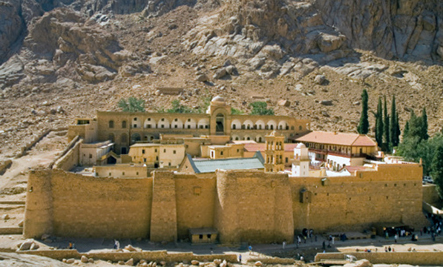 Located on Egypt’s remote Sinai Peninsula, the Orthodox Christian Saint Catherine’s is one of the oldest working Christian monasteries on the planet . The burning bush seen by Moses is said to be on the property, as is one of the world’s largest and most important religious libraries. The animal life is teeming on Patagonia’s Valdes Peninsula — you’ll find penguins, sea lions, whales, fur seals guanacos, and elephant seals on land and in its waters. 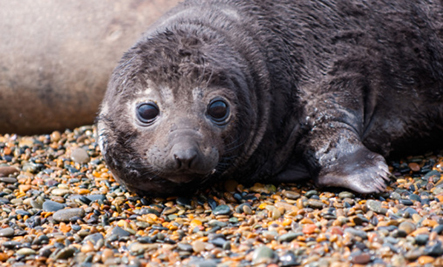 Many of these animals are threatened with extinction, and the peninsula is a critical breeding ground. 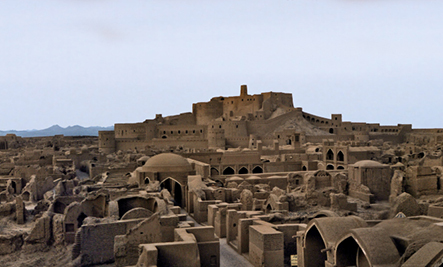 Once the largest adobe structure in the world, Arg-é Bam sat on the legendary Silk Road trade route. Sadly, in 2003, the most devastating earthquake in Iranian history almost completely leveled this centuries-old 44 acre citadel. In its aftermath, 80 percent of the once popular tourist destination was either destroyed or demolished. Nations across the globe have pledged money to rebuild the ancient city and the modern city that sprung up around it. Its inclusion on UNESCO’s List of World Heritage in Danger, and the funding that goes along with it, however, is in danger of being revoked. The rebuilding efforts have not complied with UNESCO’s standards. 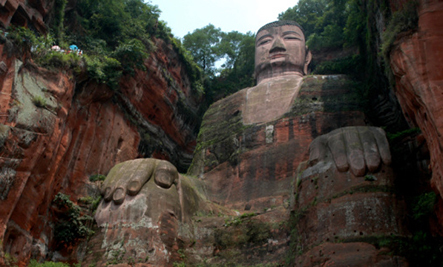 Measuring in at an incredible 233 feet tall, the Leshan Giant Buddha is the world’s tallest premodern statue — and, to this day, is the tallest Buddha in the world.. The monstrosity was carved out of the side of a cliff over the course of nearly a century, finally reaching completion in the year 813. For well over 500 years, the historic city center of Zamość has kept its original layout, and much of the original buildings. The city was designed with the Italian renaissance principles of an “ideal” town. Conceived as a trading center, the founder of Zamość brought in shopkeepers of several nationalities, and set up a a tradition of cultural and religious diversity and tolerance. Are Juice Fasts Actually Healthy? Hopefully they stay "lesser known" and are not over-run with tourists and McDonald signs! I hope the area in Iran can be rebuilt. Thanks for sharing..... amazing pics! !